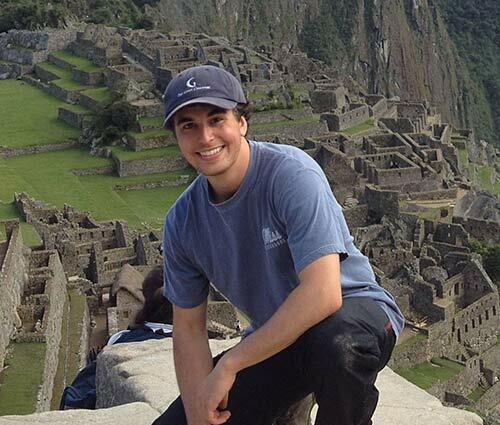 Douglas Odom on the Inca Trail in Peru. Students are encouraged to engage in community service as part of the learning experience at the University of Mississippi. Douglas Odom, who graduated with a bachelor’s degree in English and classics in 2013, took those lessons and made them a core part of his life. During his time as a student, Odom served the university and community in many ways. He was a part of the Columns Society and UM Judicial Council, and he worked as an Ole Miss Ambassador, orientation leader and committee member for the Big Event in 2012 and 2013. After graduation, Odom traveled with his father. They spent 15 months adventuring in the Western Hemisphere: dog sledding in Canada, hiking the Inca Trail in Peru, zip lining in Costa Rica, scuba diving in the Atlantic, Pacific, Caribbean and Cenotes Caverns of Mexico and visiting nearly half the Major League Baseball stadiums across the nation. His love of the university and the state of Mississippi drew Odom back to Oxford in fall 2014. Since then, he served as an AmeriCorps VISTA with the North Mississippi VISTA Project. He worked in the College of Liberal Arts with programs such as FASTrack and College Corps and with the nonprofits More Than a Meal, the Boys and Girls Club, and some schools, including Della Davidson Elementary and Bramlett Elementary. Odom has also been working closely with Janice Carr, a university employee and Abbeville resident, and her project at the Gordon Community and Cultural Center. She and other board members at the center launched a seven-week summer enrichment for 40 elementary students in the county this summer. Odom worked with local businesses and organizations to provide food, school supplies and other general funding to help make the summer enrichment program a success. Odom is the 12th member of his family to graduate from UM, following his father, mother, three aunts, three cousins, two brothers and a sister-in-law. This fall, he is pursuing a master’s degree in higher education administration from the Peabody College of Education and Human Development at Vanderbilt University. “I want to venture out and learn everything I can, but the ultimate goal is to bring what I learn back to Ole Miss,” Odom said. “So many Mississippi children grow up here and then, first chance they get, they leave. We need more Mississippians to stick around, or at least to come back after leaving. Susan Nicholas (left), North Mississippi VISTA Project assistant director at UM, welcomes new volunteers Allen and Susan Spore. 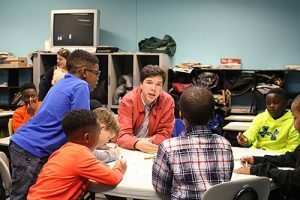 The University of Mississippi College of Liberal Arts is leading the fight against poverty through education, thanks in part to a federally-funded volunteer program. 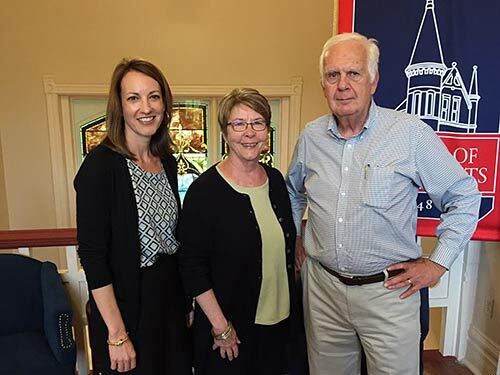 The North Mississippi Volunteers in Service to America project entered its fifth year of funding from the Corporation for National and Community Service. Directed by Stephen Monroe, assistant dean of the college, VISTA brings more than $575,000 annually into the region. Examples of VISTA projects include a back-to-school fair in Tupelo that benefited thousands of low-income students, a community mentoring program to help children in the DeSoto County Youth Court system, tutoring and fundraising collaborations between UM’s LuckyDay Academic Success Program and Crenshaw Elementary School in Panola County, and the Horizons Summer Learning Program on the UM campus. Most VISTAs have been recent graduates from UM programs, such as the Croft Institute for International Studies and the Sally McDonnell Barksdale Honors College. Doug Odom, a 2013 graduate with bachelor’s degrees in classics and English, spent last year building academic support programs for low-income college students and raising funds and recruiting volunteers for youth programs. He is attending graduate school at Vanderbilt University this fall. Many other VISTAs have followed a similar path, going into graduate programs at New York University, the University of Georgia, Harvard University and Stanford University. Although most VISTAs come from the university, others such as Susan and Allen Spore of Oakland, California, are recruited from out-of-state. The retired couple will be stationed at different schools in north Panola County. The couple’s son, a Jackson attorney, encouraged them to consider Mississippi. After visiting Oxford, the Spores decided that it would be a great place to live during their assignment. Her husband shared similar objectives. Monroe said he is grateful to CNCS for the work made possible by its grant. For more information on VISTA service opportunities, contact Susan Nicholas at nicholas@olemiss.edu or 662-915-1905.